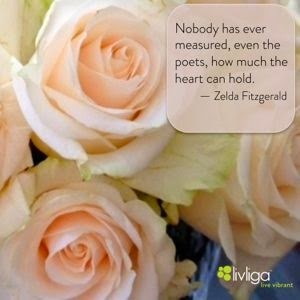 Livliga® Live Vibrant Blog: Great Healthy Living Quote #133--How Much Can Your Heart Hold? Great Healthy Living Quote #133--How Much Can Your Heart Hold? How much can your heart hold? Imagine more.